Aging affects every organ system in your body, including your skin, leading to lines, wrinkles, and discoloration. But there are treatments that can help reverse the effects of aging and restore your youthful look. Premier Wellness in Wellington, Florida, uses an advanced aesthetic tool called TempSure™ to tighten your skin and remove pigmentation. The TempSure tool is also used for vaginal revitalization. To learn more about TempSure and how it can enhance your natural beauty, call the office today or request an appointment online. 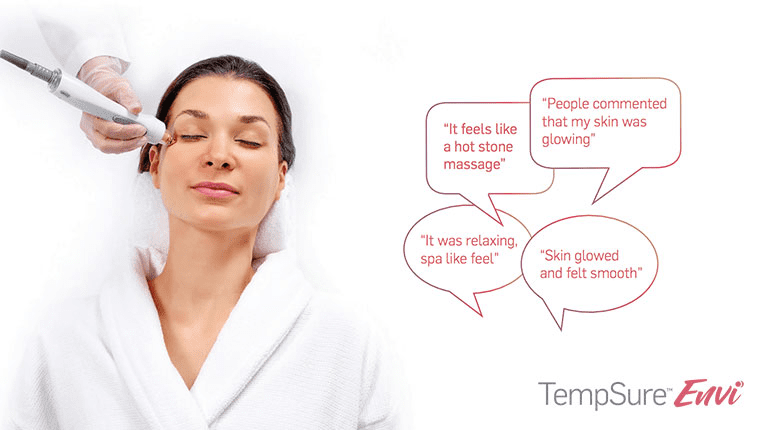 TempSure is an advanced aesthetic tool that uses radio-frequency energy to improve the look and health of your skin. The radio-frequency energy has the ability to heat the deep layers of your skin to induce the production of collagen and elastin to stimulate cell turnover and regenerate new, healthier looking skin. Collagen and elastin are the proteins that give your skin its strength and healthy glow. The energy created by TempSure also tightens the cells and supports the formation of new blood vessels for better health. The tightening action of the radio-frequency energy produced by TempSure can also reduce the appearance of cellulite. What can I expect during treatment with TempSure? Treatment with TempSure for skin tightening is gentle, and most patients tolerate it well. During treatment, your specialist at Premier Wellness directs the radio-frequency energy over your treatment area to induce beneficial effects. Treatment time varies depending on the area being worked on. There’s no downtime following TempSure treatment, so you can go back to your everyday activities once you’re done. You should notice an improvement in your look immediately following your session with continued improvements in your skin over the next month or so. But you may require more than one session to get your desired results. Your specialist creates an individualized treatment plan before you get started so you can prepare. As for your skin, the radio frequency helps induce the production of collagen, tightens the tissue, and assists in the formation of new blood vessels to restore vaginal health and function. You can’t stop the hands of time, but you can slow down the effects it has on your skin. To learn more about how TempSure can help return your youthful look, call Premier Wellness today or request a consultation online.